Facebook users are sharing 684,478 pieces of content per minute. Each day, there are more than 500 million Tweets processed on Twitter and 80 million photos posted to Instagram. With such an influx of content on social media, it’s more difficult than ever for brands to stand out and get noticed. Catching and sustaining your audience’s attention on social media is an all-out competition. Visuals are no longer a nicety; they’re an essential, core component of a successful social media strategy. Don’t believe that graphics have a tremendous effect on the posts that your share to social media? According to Twitter, Tweets with photos receive an average 35% boost in Retweets. Social Media Strategist Jeff Bullas reports that Facebook posts with photos receive an average 37% increase in engagement. 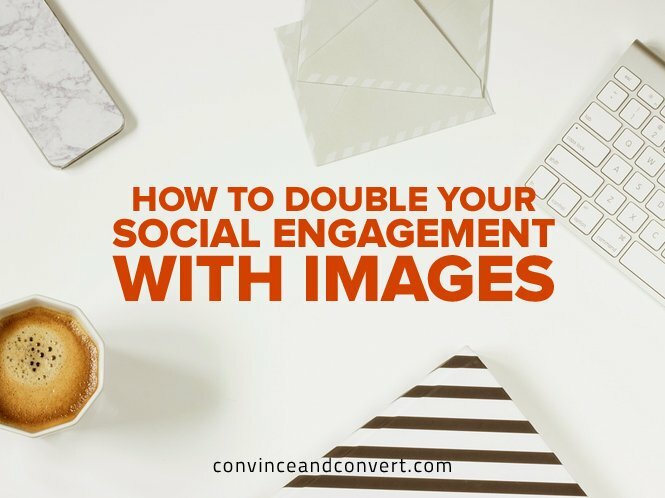 And Buzzsumo found that posts with images receive 2.3 times more engagement than those without. 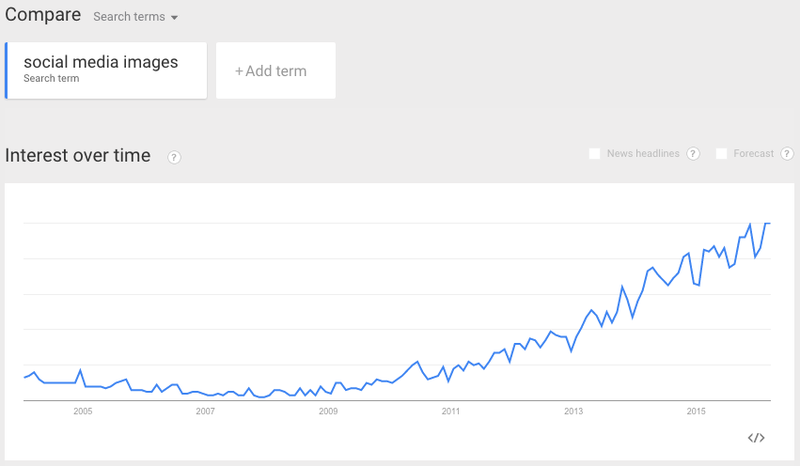 A quick Google Trends Reports shows that social images are so in demand that the search term “social media images” has been steadily increasing for years, with no sign of slowing down. Searching for social media images, however, won’t actually set you apart in newsfeeds. At best, your results will yield the same stock photography that competitors are using to promote their products and services. To be successful, you need to have a comprehensive social image strategy. Learn how to create and source the most engaging visuals, and scale the image-resizing process across social network specifications for seven popular platforms. Before you start allocating time and resources to new image creation, you need to figure out what type of visual content your audience finds most engaging. Pull historical social data for each network your brand is active on. Single out the content that has driven the most engagement and reach. Outline the image attributions that your most successful social content shares. Identify patterns across social networks and use this information to make informed future decisions. With a tool such Sprout Social, you can easily pull your data across multiple social media networks and profiles simultaneously. It only takes a minute to start your own free trial. Then, you can access your historic social data right from the platform, which has a ton of additional functionality. 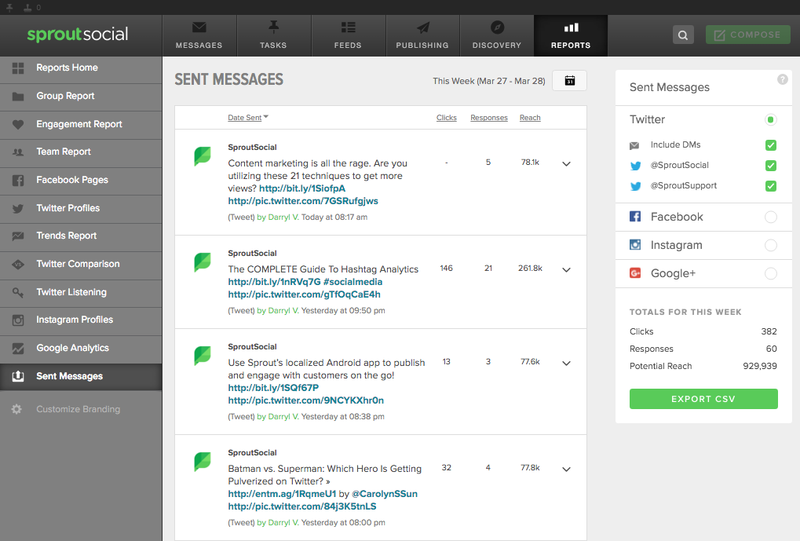 Once you’re in, navigate to the Reports tab, and choose the Sent Messages Report. Choose a time range that’s wide enough to get a good sample of data. Then, analyze which content performs well, either on the page or as an exported CSV. There are a few other reports that you can look at within Sprout Social to see which of your visual content is performing well. 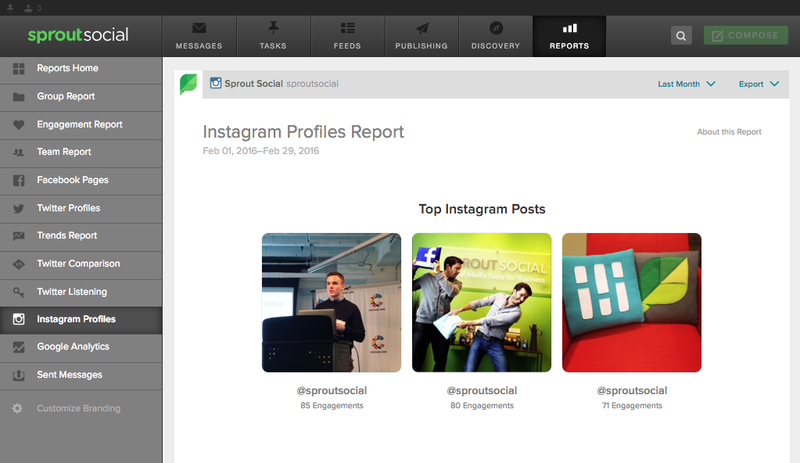 For instance, the Instagram Profiles Report shows you the top three posts based on whatever timeframe you choose. Once you know what images have the best chance of resonating with your audience, you should start creating visual content. If you don’t know where to start and don’t have access to a design team, this portion of the process can easily be a the most intimidating. Here are a few different ways you can obtain enough visual content to build out your social media calendar. Smart phones have made it much easier for anyone to snap a photo whenever they want, and some devices are so advanced that they can create professional quality images. 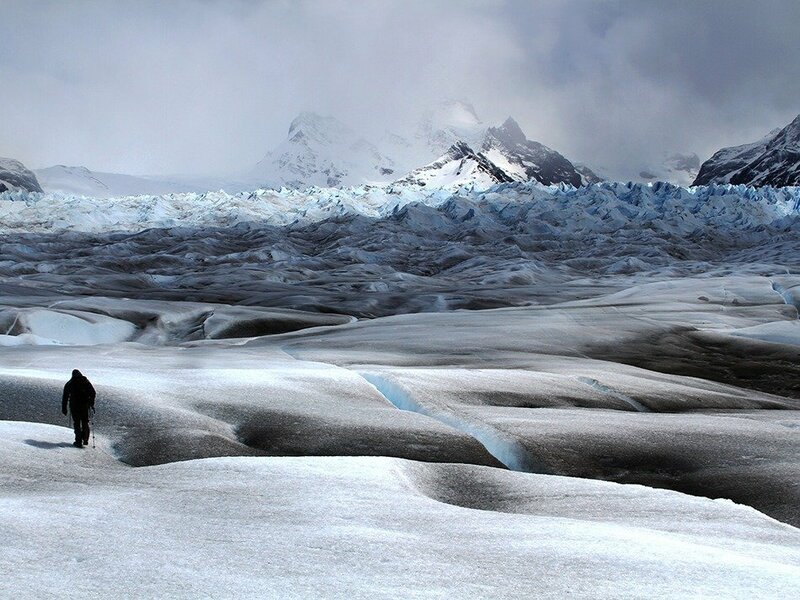 For instance, the picture below was taken by Julio Lucas and won an iPhone Photo Award. Invest in a smartphone with a top-notch camera, and head to YouTube for tutorial videos that offer tips and tricks and outline best practices for using mobile to capture compelling content. While the initial investment is higher than the purchase of a single smartphone, it’s possible for marketers to learn how to design new images from scratch. You can hire a freelance or internal graphic designer. There are also a ton of free resources and affordable software options online where you can teach yourself basic graphic design skills. If you can’t create your own images to share—or if you’re just too busy to spend time on it—there are a handful of places where you can purchase custom images. Visually is a site where you can hire a content creator to build you images, infographics, or even eBooks. Fiverr is another site where you can find someone willing to create images for you. There’s a ton that goes into creating a single for social media—that is, one image that is really only optimized for and used on a specific network for a specific post type. What does that mean exactly? Well, you spent a few hours creating an image you know will look great on Instagram, but how will that image end up looking on Facebook, Twitter, and elsewhere? 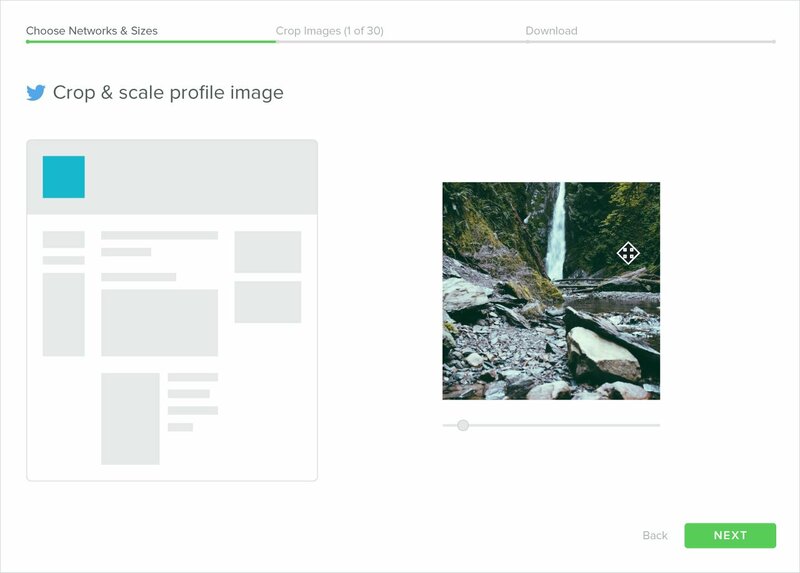 It’s incredibly easy to resize your image to fit all of your needs using Landscape by Sprout Social. Landscape takes the image you created and quickly resizes it to match the exact specifications required by each social media network. Here’s exactly how it works. Upload the master image that you’d like to resize for various social networks by clicking within the crop box or dragging and dropping your image. 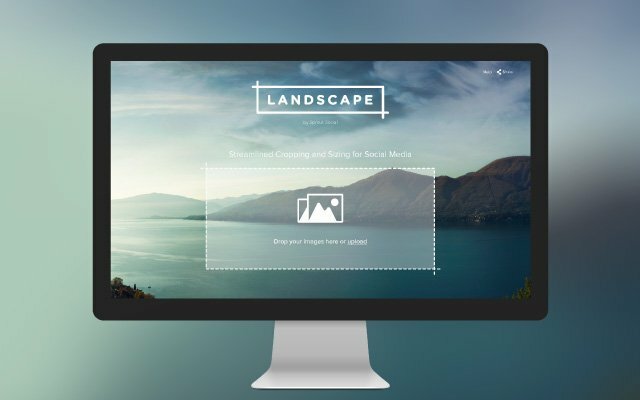 Landscape currently uses Twitter, Facebook, Instagram, LinkedIn, Google+, Pinterest, and YouTube image formats. If you’re not looking to publish on any of these networks, you can choose the custom box option and enter your own dimensions. If you want to resize your image for all networks and post types, click on the “Have Landscape auto-crop instead” button. After you’ve selected the specific networks you want to resize your image for, choose which post types, such as a Twitter Profile Image or Facebook Cover Photo, you need. 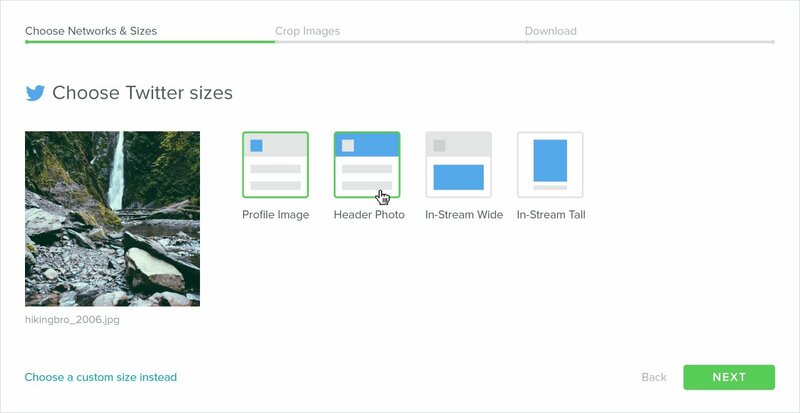 Now you can quickly go through each of your image type selections and guide the cropping to ensure you’re not cutting out any valuable content. Once you’ve finished cropping, Landscape exports a ZIP file with your new images, named to indicate which network and placement each belongs to. 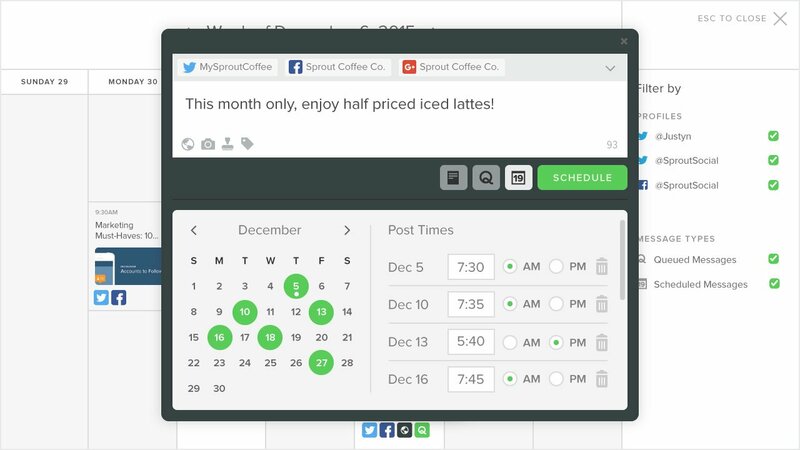 You can then use a social media publishing tool such as Sprout to schedule them. Social media professionals thrive on engagement. True professionals no longer look at the sheer amount of followers and fans they have as a core metric; they look at the real conversations they have with those users as an indicator of success. In order to create a real competitive advantage on social and start conversations that can lead to true value, you need to embrace the use of visuals, and with the tools we’ve set before you, it shouldn’t be hard to start to scale your process. Michael Patterson is a Digital Marketing Specialist at Sprout Social. Michael enjoys writing about all things social media, and his insights can be found on Adweek's SocialTimes, Social Media Today and Social Media Examiner. When he isn't poring over blog posts, he can usually be found exploring Chicago's unique neighborhoods and breweries.